The Sixth Form College, Solihull – part of the Ninestiles Academy Trust – is celebrating the success of an impressive nine students who have secured places at the Universities of Oxford and Cambridge this year. A total of 941 applications to university were made from the College this year – the most we have had since 2011. Nine students secured offers from the Universities of Oxford and Cambridge and all nine have secured their places thanks to outstanding examination results. Six students have places at Oxford, while three are planning to start their studies at Cambridge this autumn. Two of the successful Cambridge students are linguists Megan Bache and Esther Hurst (both aged 18, from Solihull), who are pictured above with Erin Minogue. Both will be going to Churchill College, Cambridge, but while Megan will be studying French & German, Esther’s course is French & Spanish. They each achieved all A and A* grades in their A levels, with Megan getting all A* grades in French, German and Mathematics, while Esther got A* grades in French, History and the Extended Project (EPQ) and an A in Spanish. Also taking up a place at Cambridge is Sam Sayer (aged 18, from Shirley). Sam achieved an A* in A level History and in his EPQ, as well as A grades in Economics, English Literature and Politics, to secure his place at Homerton College, Cambridge to study Theology. For Alfie Fellowes (aged 18, from Cheswick Green), a place at Pembroke College, Oxford to read Oriental Studies and Japanese awaits. 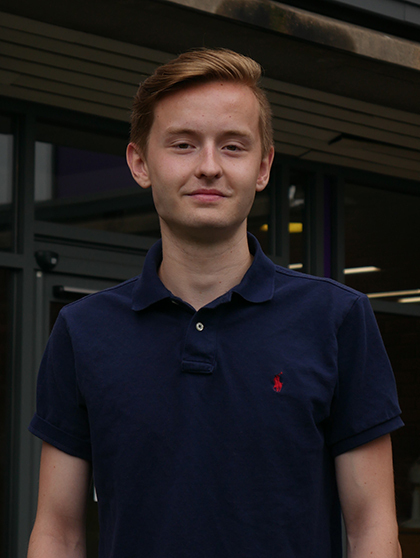 Alfie achieved A* in Politics, A grades in Ancient History and Classical Civilisation and a B in History. Erin Minogue will also be going to Oxford, although in her case it will be to read English Language and Literature. She achieved A* grades in Classical Civilisation and her EPQ, as well as A grades in History and Politics and a B in English Literature. The other successful Oxbridge students are Toby Lowther, Rayhan Mahmud, Joseph Peace and Adam Taqi, with all four students progressing to the University of Oxford. 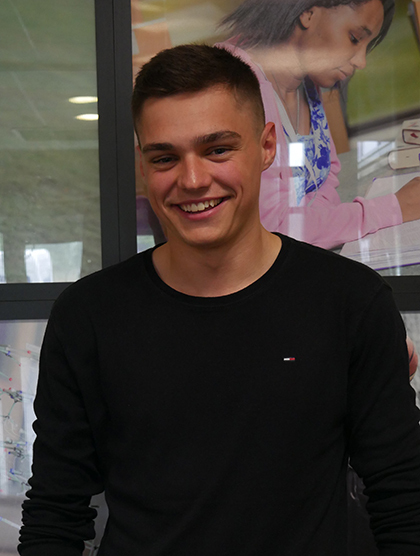 Joseph Peace (aged 18, from Solihull) is going to Magdalen College, Oxford to take up a place on the Biology degree course after achieving A* grades in Biology and his EPQ and A grades in Chemistry and Mathematics. Rayhan Mahmud (aged 17, from Small Heath) is also continuing with his science studies. He got an A* in Mathematics and A grades in Geography, Physics and Further Maths, which has secured him a place on the Physics course at Merton College, Oxford. Meanwhile, Toby Lowther (aged 18, from Kings Norton) has a place at University College, Oxford and Adam Taqi (aged 18, from Birmingham) has a place at Pembroke College, Oxford. Toby will be reading Linguistics & Philosophy after achieving A* grades in English Language, Mathematics and his EPQ and an A in Russian. Adam will be studying Theology after getting two A grades and one B in Classical Civilisation, Law and Ancient History.